Saturday is Worldwide Quilting Day and celebrates the ways that our love of quilting binds us together! 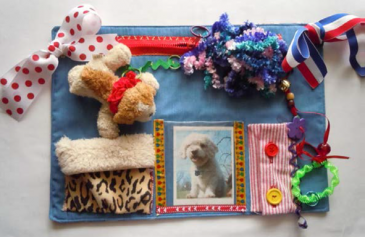 With this in mind, we are showing our love by sewing Fidget Memory Mats for local residents who suffer from dementia, Alzheimer’s, or brain damage. We hope to have plenty for the care facilities in Ravalli County. Come help us sew them this Saturday, March 17th starting at 9:30 am at Patchwork Quilts. Bring your sewing machine and we will provide all the supplies and treats. We would encourage you to RSVP, but it’s not necessary. We will have two machines available if you cannot bring one. Come join us to provide a valuable resource for those who need them.